Earlier this year, planning approval for the proposed Walsh Bay Arts Precinct $210 million redevelopment was found invalid in the Court of Appeals on the grounds that the state did not adequately consider the impact on nearby businesses of Walsh Bay during the construction phase. You can read more about the case here. 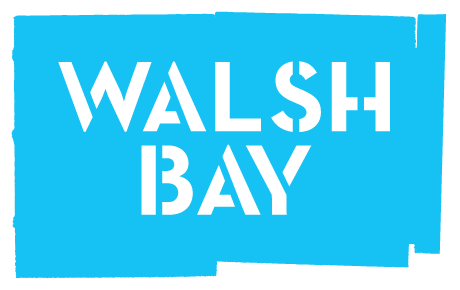 The decision came at a time where the Walsh Bay Precinct Association (PMA) began asking their own questions about not only the impact of the construction stage but also that of the operational phase, on residents and businesses in Walsh Bay and surrounding areas. Whilst the PMA were in favour of an improved Arts Precinct, of key concern were the potential affects of noise, traffic, and people management - all issues which the Precinct Association felt were not adequately addressed in the Stage 2 application which has now been reviewed by Create NSW and Infrastructure NSW. Yesterday, a new State Significant Development Application for the project went on exhibition. You can find all available information relating to this exhibition below. Walk a 28km course around Sydney Harbour in support of Cancer Council NSW. The Council of the City of Sydney was established in 1842. This major exhibition presents the civic and social histories, events, people and places of the inner city from 1842 to 2017. It demonstrates the impact of Council as the administrator of the city over 175 years. The Commission, in conjunction with Transport for NSW's Future Transport, will be holding a series of three-hour workshops. In these ‘What We Heard’ workshops you will hear from the Greater Sydney Commission about their work and the feedback they have been receiving from community members and other stakeholders. You can RSVP to the events below. The Langham, Sydney specialises in sophisticated, small to medium meetings and events with a focus on elegant room design, bespoke planning, gastronomical menus and intuitive service. The Drawing Room encapsulates all this and more. We are delighted to offer you three gorgeous tailored package options for you to enjoy this year. The business support grant program fosters strong and sustainable local economies by supporting proposals that stimulate business and economic activity. It provides matched support for businesses, property owners and not-for-profit organisations to increase business offerings and programming at night. The program also aims to increase the quantity and quality of live music and performance venues and programming. We encourage potential applicants to have a conversation with staff before applying. NOTE: the closing date is Monday 13 November.